What can you do with a Biochemistry, Pre-Pharmacy degree?This degree plan was created for students planning to attend pharmacy school upon graduation. The pharmacy school I want to attend does not require this many courses. Why should I take them? Some pharmacy schools have minimal requirements to accommodate a wide range of applicants. 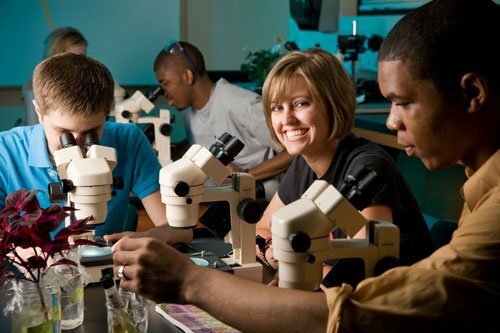 However, pharmacy schools tell us that students should take as many rigorous science courses as possible to prepare for success in pharmacy school. Courses for this major were also chosen to help prepare students for the PCAT (the pharmacy entrance exam). Couldn’t I apply to pharmacy school without a bachelors degree?Technically yes, but admission to pharmacy school is competative and most of those admitted to pharmacy school have completed their B.S. degree. Who can I ask for more information? Contact Dr. Prilliman, Chair of Chemistry. Ready to start your OKCU application? Let's go.